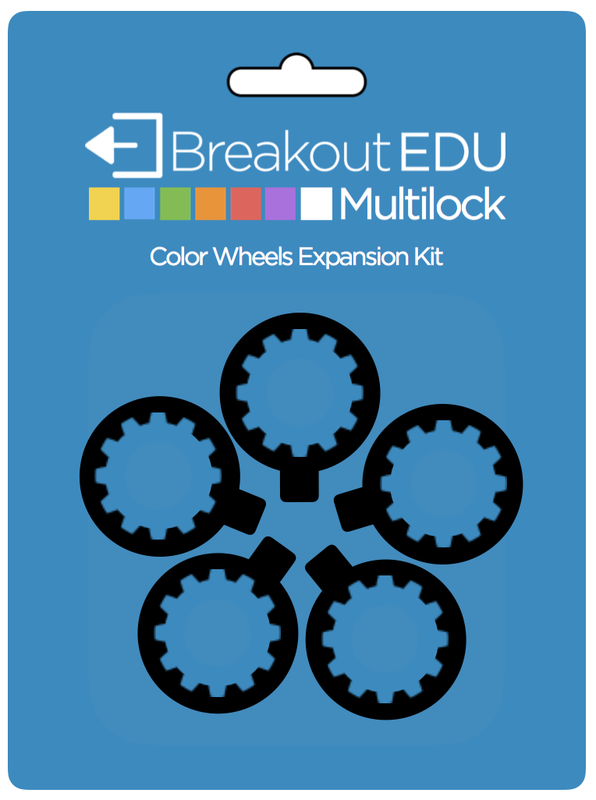 Each Breakout EDU kit comes with a Color Wheels Expansion Pack for the Multilock. These wheels can be placed on either of the two Multilocks (ABC Multilock and Directional Multilock) that come in the Breakout EDU Kit. These wheels will convert one of the Multilocks into a lock that can open with a sequence of colors. Please see below to understand the specific way in which the wheels need to be placed on the lock in order to allow it to close and work correctly.